I don’t really know, Mom, if you have understood your own strength in life. You inspire me with your tenacity. Nothing is more precious to me than the few minutes I can grab to see you and interact with you, face-to-face, on Skype. Because of technology, I feel as though I’m in the same room as you, Mom and Dad, when in fact, I am thousands of miles away. 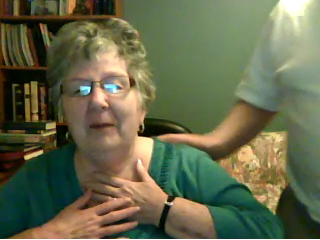 After our Skype date this evening, I headed for my bank of photos, tucked into files on the computer and found this one. It made me smile. 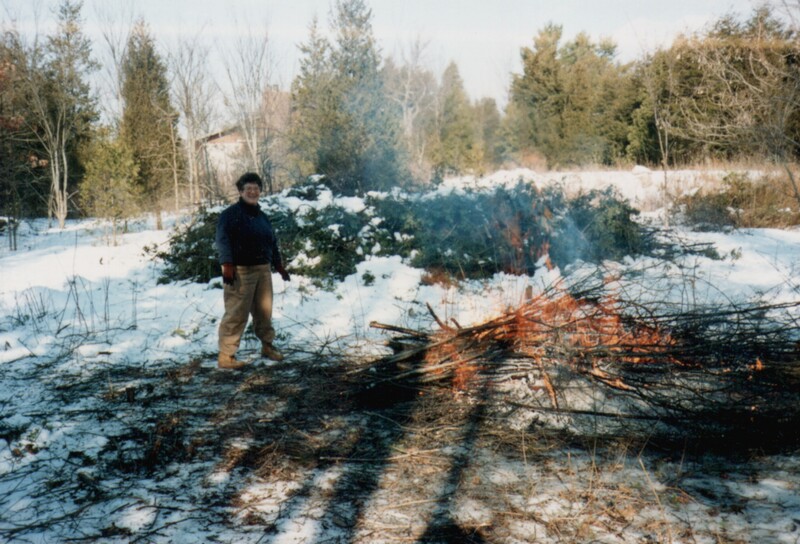 You shared such satisfaction clearing this piece of land! You inspired me then and continue to inspire me today. I had to post this poem by Li-Young Lee, words I retrieved from The Poetry Foundation website. It is a moment in one poet’s life that moves me, deeply. Quite surprisingly, only moments after listening to this recitation and just before heading to bed, I received both chills and tears, as a result of a letter passed to me via facebook…something written by a former student. And it is simply so exquisite that it got me thinking immediately about how words hold such huge power and equally as much, poetry compells in us, a response of memory. With very few words, we can be transported to a place and time. It’s quite astounding. I don’t think she’d mind me sharing this letter. I came across the poem ‘Carry You In My Heart’ by E.E. Cummings this summer Monday evening and had a vague recollection that I had certainly read this beautiful passage once before, but couldn’t quite remember when or where. After a few moments of contemplation I realized that it was in Grade 9 that you made each of us attempt a delivery of the poem individually in front of the class! I laugh now at this memory thinking of how miserable our attempts would have been, but have never been more appreciative of the ability to read such a touching piece of literature. I have such fond memories of our classes together; creating the art displays and your attempt to break my habit of writing in all upper case letters…. Thank you for such wonderful memories. I find that as I go through University with professors who could give two hoots about who you are or where you are going, I appreciate so much more the efforts and dedication teachers like yourselves gave to us students at the time. For this I would like to say thank you. Five years later I find myself having a chuckle once in a while about my time spent at Cardinal Newman and deeply appreciating my Grade 7 and 9 teacher who believed in me so much more than I believed in myself. I am off to Ethiopia, Africa this Friday to build houses for families in the village of Debre Birhan. I smile at the thought of building our ‘garden’ in the front of the drop off zone, and appreciate now that even the smallest effort can make such a difference in this world. I hope all is well with you and your children! Have a wonderful summer. And I will carry you in my heart, dear student of mine. Be safe. May your work be a sign for others of God’s love for the world. and I am glad that my words could have a part in it. Hope to see them in the flesh, or charcoal, or whatever. Well. Hope to say hello in person some time. I am the way and the heavy. George’s poetry is so powerful, that to have words of his sent to me via electronic mail also feels like poetry. Paulette shaped a heart-felt message for me as well, but it stays here, tucked in my heart. 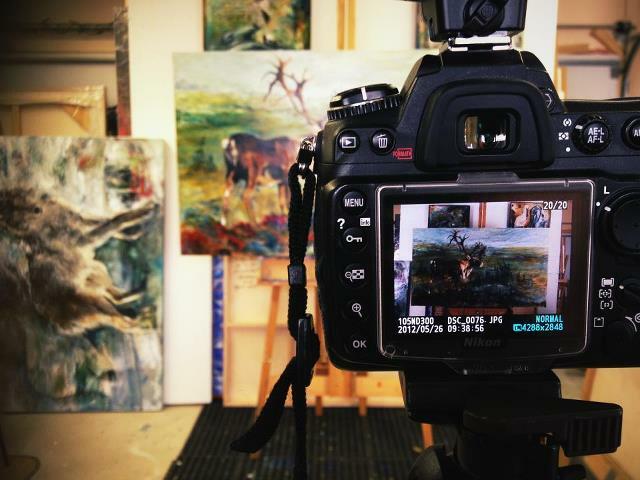 …but, I didn’t want to send the paintings out of the studio until I had them photographed. I’ve converted my old photo slides to digital recently and I realize that I used to tear out the door, often with wet paintings, in order to meet deadlines. If I photographed my works, they were haphazard trapezoidal shapes of every variety; they were unfocused and they hardly qualified as an archive at all. Here would be an example. So now, I have no REAL history of what has come before, to even consider how all of that work influenced this. See. This is why I am excited that Jen came to the studio this morning. Jen’s ‘Take’ on an one of my ‘old’ paintings. Who needs a high wire? I find this TED talk particularly inspiring…not that I would ever choose to walk a high wire. But, in fact, is life not a high wire and do we not have the opportunity to engage the very same key elements that Philippe Petit has applied to his expression of so much energy throughout his lifetime? Passion! Tenacity! Intuition! Faith replacing Doubt…Improvisation welcoming the Unknown…Inspiration! Today, be passionate. That’s a start. From what I’ve read of others, this is Carol Shield’s weak point with this novel. I am just happy that Mary Swann’s life will be honoured to some extent because, although completely absent from this book, her poetry has created a consistent link with the four characters’ motivations. Robbing the hour, rubbing the bone. I am delighting in this book and feel consistently impressed by Carol Shields, her writing and her way of living life. She contributed so much to our world by celebrating the common person, particularly shedding light on the every day thoughts and efforts of ordinary women. I spent the long weekend at W.H.Webb’s studio outside of Forestburg, Alberta…mostly bundled up against the chill and in a yellow wicker chair aimed south. It was a time of tranquility. 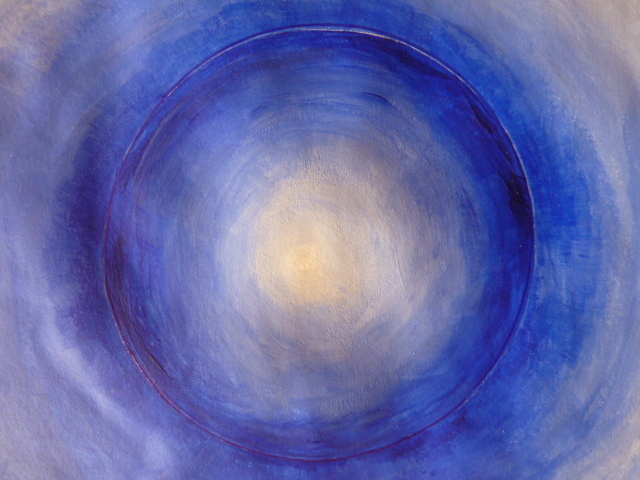 For a while, I archived his work in the studio…his process. Bill and I have been friends for years now. It is such a blessing to visit with someone about good books, good music, dancing, wine, faith and spirituality, relationships and loneliness, family. It is good to update on new photos of children and grandchildren and to spout off about dreams and ten-year plans. 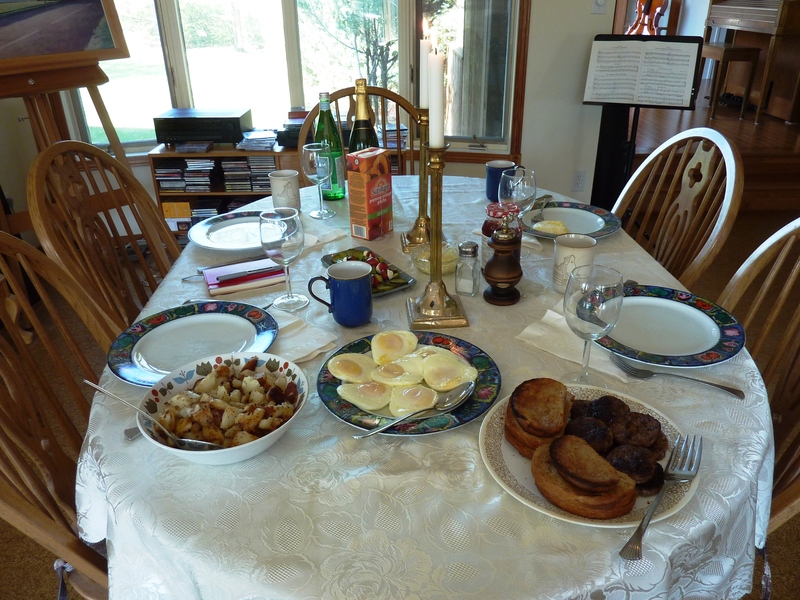 of those at the breakfast table. Leave, somehow different and bedazzled. I think that the last time I feasted my eyes upon William Kurelek work was when I entered the St. Thomas More College chapel on campus in Saskatoon, Saskatchewan. I was so overwhelmed by the exquisite detail and the content of the work that I could do nothing but stand still and take it all in. Because of lighting, photography wasn’t an option…but, I will do my best to locate other writers/visitors who might have succeeded. In the end, I located an image here. 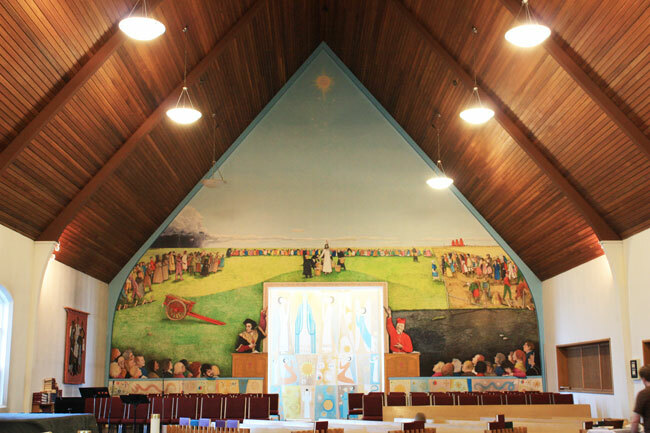 Brigid More writes… William Kurelek was struck with inspiration by the chapel itself. “He walked in and said: ‘I’d like to paint that wall,’ ” says Sanche. The Basilian Fathers had raised funds to commission an artwork from the painter, but had not enough to pay for a mural of those proportions. Kurelek offered instead to paint as a donation, provided that the funds raised be sent to a mission in India. 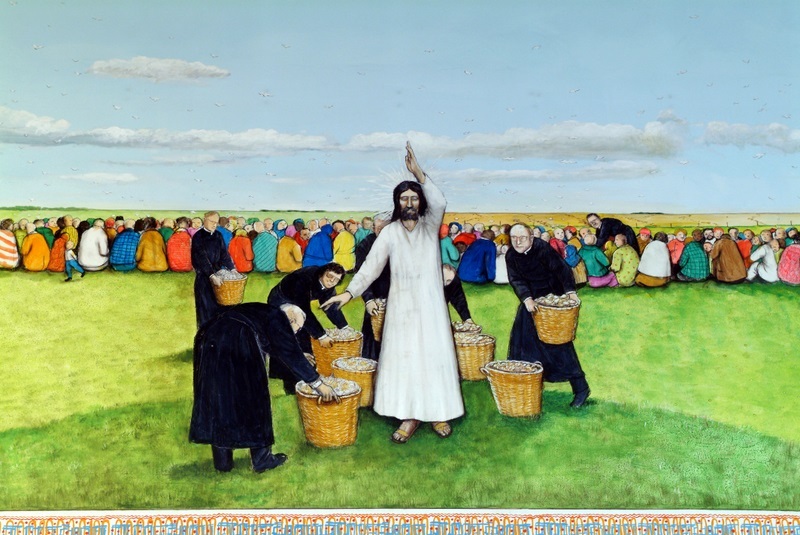 At that time, the Basilian Fathers lived at the college, and Kurelek, through the two weeks that he worked on the mural, stayed as their guest, fasting and attending mass every morning. 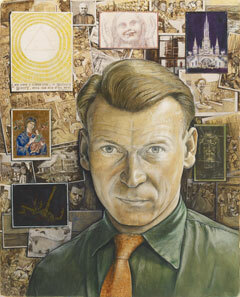 I retrieved a photograph of this Kurelek self-portrait from Archbishop Terry’s blog. I am particularly fond of this one because of my own interest in ephemera. Kurelek is surrounded by some of the bits that meant something to him in life. This past weekend I decided to drive up to Forestburg to spend time with my dear friend, Bill Webb. 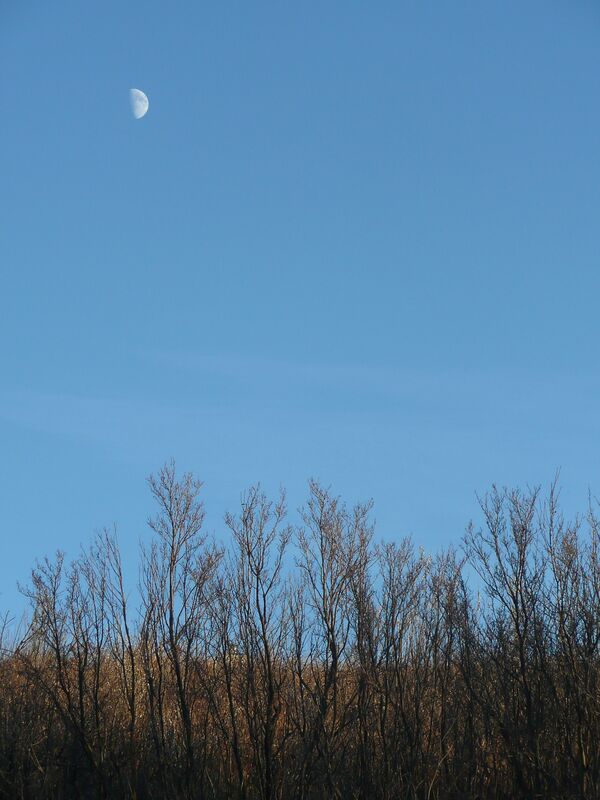 Heading up, I wandered north and east for miles on various Range roads and enjoyed the serendipitous events that took place along those roads. For example, I stopped the van and watched a rancher’s wife chase a skipping brown calf the entire length of a fence, in order to return it to its mother who was bawling on the other side of the fence. A three hour drive easily transformed into five hours. I had a plate of homemade liver and onions in the small hamlet of Trochu and explored an extensive collection in their historical museum. What a tremendous resource. Their archives are exquisite! So, doddle, I DID! And what fun! Arriving at the W.H.Webb studio, just outside of Forestburg, I then took in the beauty of air and light, friendship and conversation. There is nothing better than sipping a glass of french wine…or a morning coffee…while gazing out at the horizon. The only sounds; frogs in the creek…birds…and the seeders driving up and down their long rows for miles. 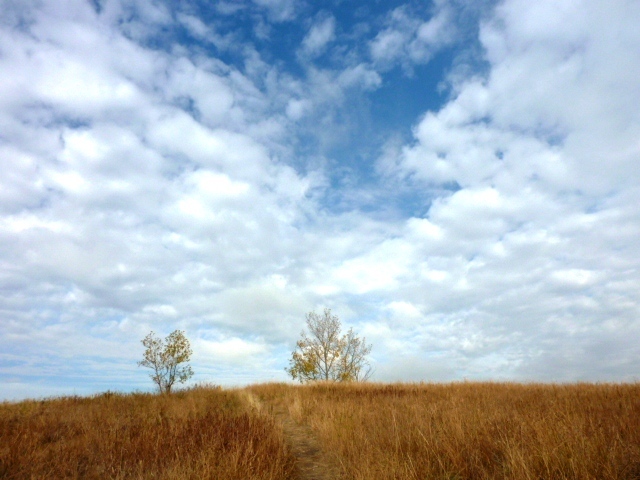 I felt as though I had stepped into a Kurelek painting. 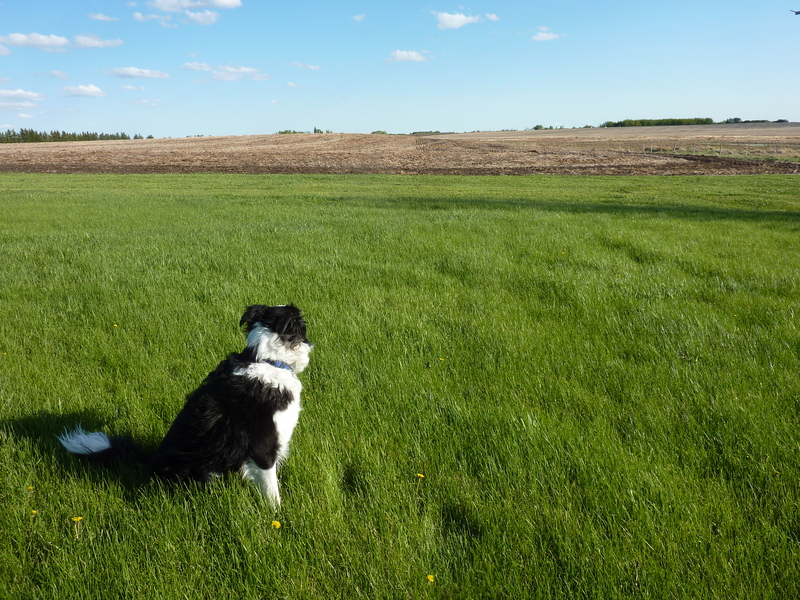 I am so grateful for the time away from the city…reading, reflecting, sketching and playing with Max. He definitely loved being on the farm! The following image was collected from the Salt and Light blog. 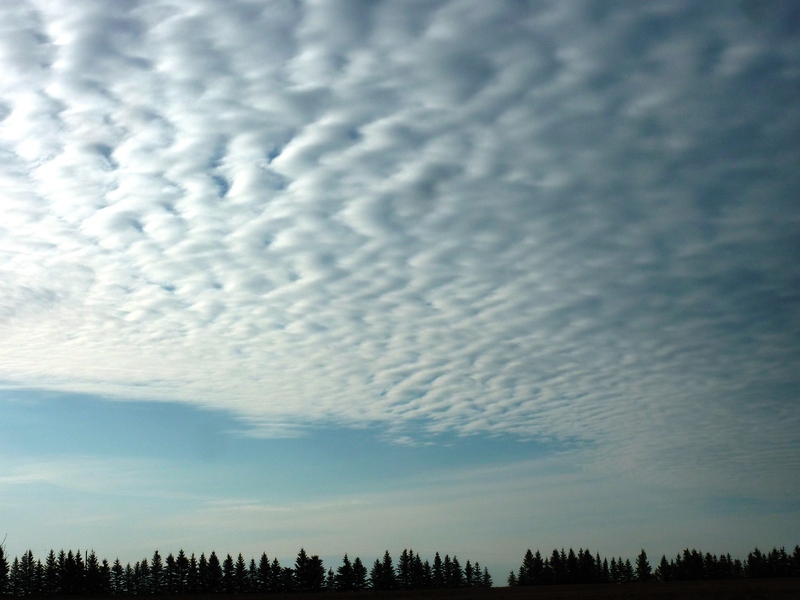 The author explores connections between the scripture found in Matthew 14:13-21 and what life must have been like for the missionaries out on the open Canadian prairies. It is definitely an interesting comparison. 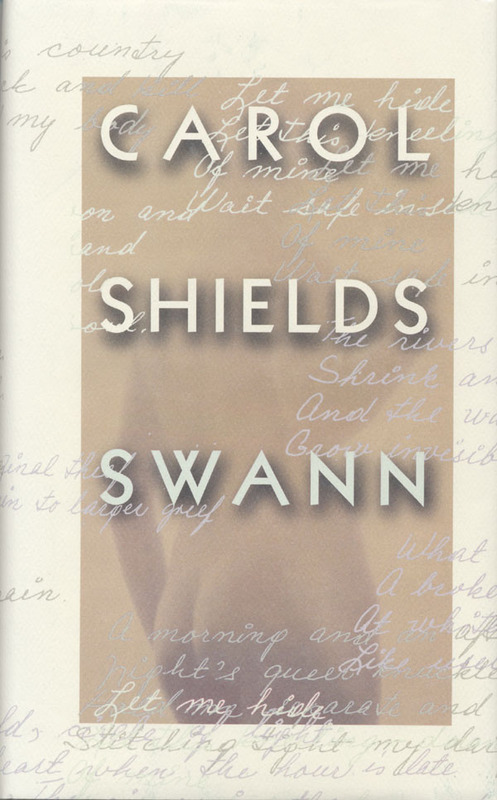 I’m engrossed in the novel, Swann by Carol Shields and because I am, it is moving slowly. I am eating up and treasuring every single word, especially where the character development is involved. In fact, the characters are so real to me that one day I found myself doing an internet search for the poet, Mary Swann. She is so elusive and Shields writes Mary’s life as an isolated woman in rural Canada, so believably. Mary Swann is someone the reader wants to know, especially as bits and pieces of her memory disappear…a journal…a dictionary…a photograph. 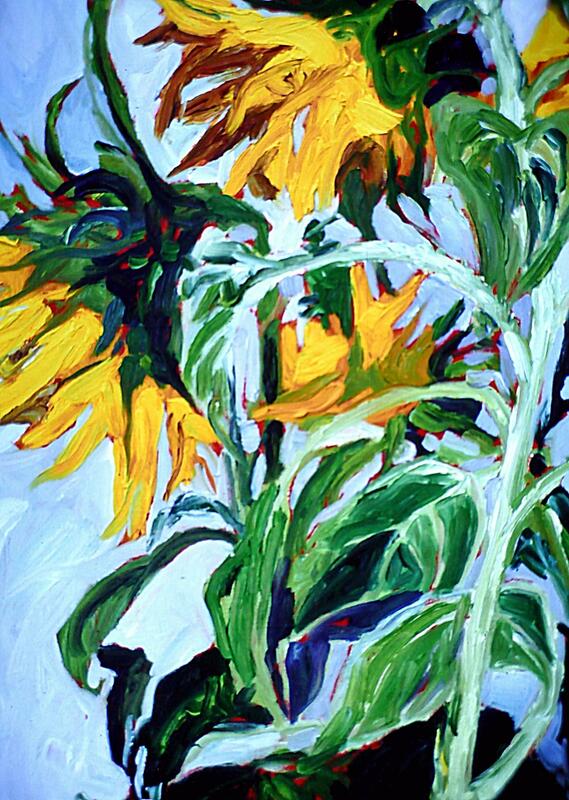 For me these become symbols of her tragic and brutal ending. What motivates Mary to write? Where does she find the words? Poignant. Nostalgic. I absolutely celebrate the act of turning on my reading light, pulling up the covers and spending time with a good book! 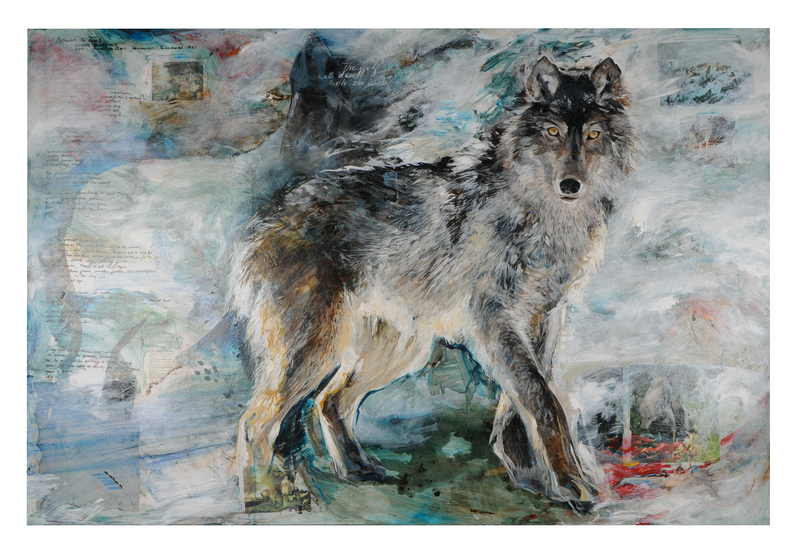 Maggie Kawalerczak reviews Swann here…I think she is ‘bang on’ with this particular review. I chuckled as I read, In fact, if I may generalize, there is certain “Canadianness” to the material. This, I believe to be an accurate assessment of this ‘mystery’. 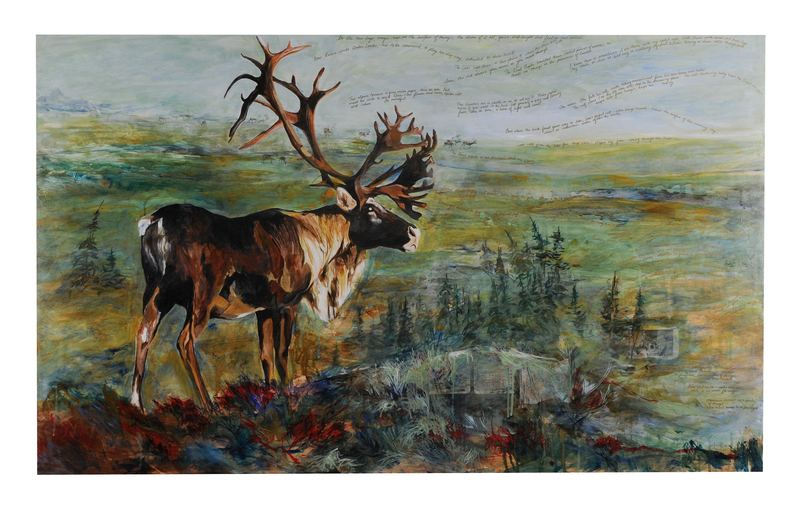 I am consistently drawn to Canadian content and respond to regional settings (landscapes I know so well), the sorts of characters that reside in these settings and that particular style/expression of Canadian authors and their words. What is that particularity? The same goes for Canadian film, doesn’t it? Mary Swann, herself, is an enigma. I am captivated by this book! Then he said to me, ‘It has already happened. I am the Alpha and the Omega, the Beginning and the End. I will give water from the well of life free to anybody who is thirsty. Anyone who proves victorious will inherit these things; and I will be his God and he will be my son.’ Thinking of Patrick today.